Sir Claud Amory turns off the lights in a locked room full of suspects. When the lights come back on, he is dead. Who killed the notorious inventor, and why? Having just completed its run at the Bord Gais Energy Theatre in Dublin, the classic Agatha Christie play is moving to the UK from August through to November (dates and locations here). 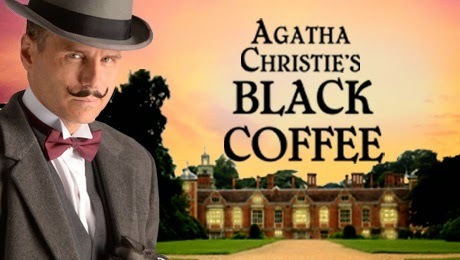 In this production, Jason Durr stars as the unflappable Detective Poirot as he investigates the various suspicious characters surrounding Amory's death. Sporting the infamous upturned moustache, Durr makes for a convincing Poirot. Called in to investigate the crime, he steals every scene with a nod and a wink. Though the majority of the plot stays firmly in mystery territory, the seriousness of the crime is matched by the play's humour - and many of the best lines go to the leading man. The supporting cast are also strong, particularly Liza Goddard as the rambling Caroline Amory. That being said some of the accents do waver, with the supposedly Italian characters the worst offenders. It's a minor quibble to a lavishly set and performed piece that does well to engage the audience throughout. Upon release in 1930 the play was warmly received, though it is now showing its age a little. The central plot is very much mystery-by-numbers, which is far from Christie's best. Given the wealth of ingenious stories from the genre-defining author, it is a little disappointing that this is the one chosen for a modern theatre run. The final reveal of the culprit falls very much into "oh, is that it?" territory, and may disappoint the modern audience expecting a more inventive twist. The tone is set light, and the self awareness of the script definitely helps to elevate it above the standard mystery fare. It's a shame the plot isn't particularly groundbreaking, as the convincing production values and cast deserve better. An (almost) impeccably performed interpretation of a conventional mystery story. 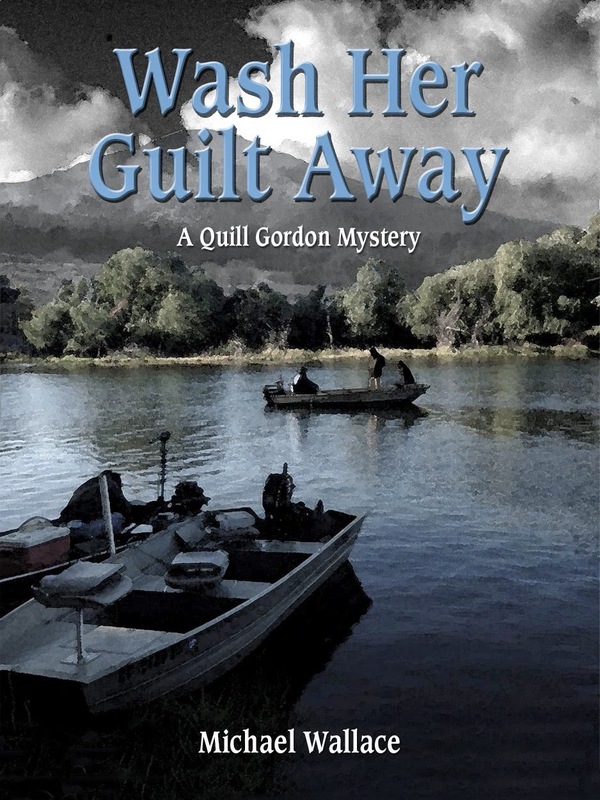 Michael Wallace's Wash Her Guilt Away combines a traditional locked room mystery - a collection of eclectic characters are stuck in a remote location after one of them falls victim to an impossible crime - with the sedate world of fly fishing. The book follows Quill Gordon and his friend Peter Delaney as they head to a waterside cabin for a fishing break, then assist a befuddled detective as their retreat turns murderous. The first half of the book is almost entirely dedicated to the pursuit of fly fishing, which offers a detailed and slow-burning insight into the techniques and experience of the sport. For fishing enthusiasts, this rather unique prelude to a murder mystery could prove for an insightful, if serene, read. Bill Brittain's "The Man Who Read" series offers a humorous take on some of the classic mystery tropes. In this short story, an orphan named Edgar Gault resolves to carry out a crime of which the likes of Dr. Gideon Fell and Sir Henry Merrivale would be proud. The short story is available in its entirety for free at Wikispaces. Told from the perspective of the criminal, this brief story offers a rare glimpse into the planning stages of a locked room mystery. Brittain wisely keeps the tone light, and Edgar's naive confidence as he implements his strategy makes him almost likeable. If the body was found alone in a locked room, how can the murderer have escaped? The question at the centre of the classic locked room mystery conundrum has fascinated and inspired authors for generations. 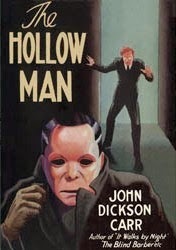 John Dickson Carr, in his widely acclaimed novel The Hollow Man (published in the US as "The Three Coffins") attempted to provide a comprehensive list of possible methods (while, ingeniously, challenging the reader with his own locked room mystery that seems to fit none of his prescribed solutions). An entire chapter is dedicated to a discussion between Dr. Gideon Fell and his friends on the possible solutions to locked room mysteries. 'Because,' said the doctor, frankly, 'we're in a detective story, and we don't fool the reader by pretending we're not. Let's not invent elaborate excuses to drag in a discussion of detective stories. Let's candidly glory in the noblest pursuits possible to characters in a book." "1. It is not murder, but a series of coincidences ending in an accident which looks like murder. At an earlier time, before the room was locked, there has been a robbery, an attack, a wound, or a breaking of furniture which suggests a murder struggle. Later the victim is either accidentally killed or stunned in a locked room, and all these incidents are assumed to have taken place at the same time. In this case the means of death is usually a crack on the head–presumably by a bludgeon, but really from some piece of furniture. It may be from the corner of a table or the sharp edge of a chair, but the most popular object is an iron fender The murderous fender, by the way, has been killing people in a way that looks like murder ever since Sherlock Holmes' adventure with the Crooked Man. 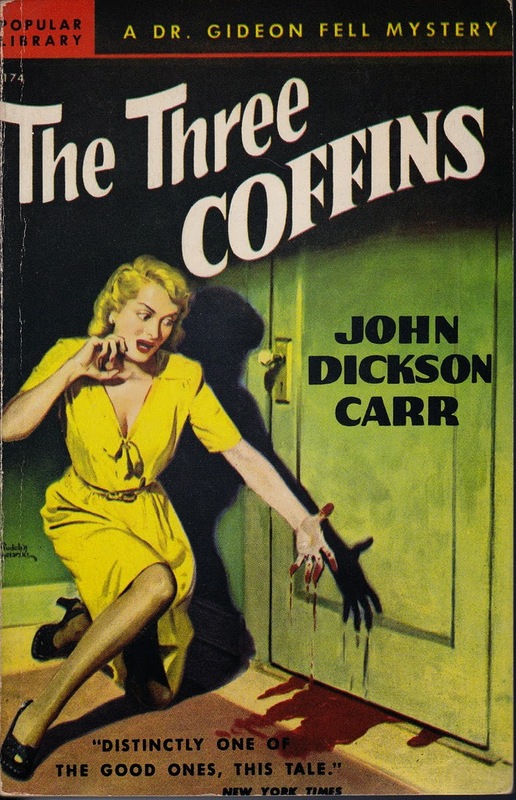 The most thoroughly satisfying solution of this type of plot, which includes a murderer, is in Gaston Leroux's The Mystery of the Yellow Room–the best detective tale ever written. 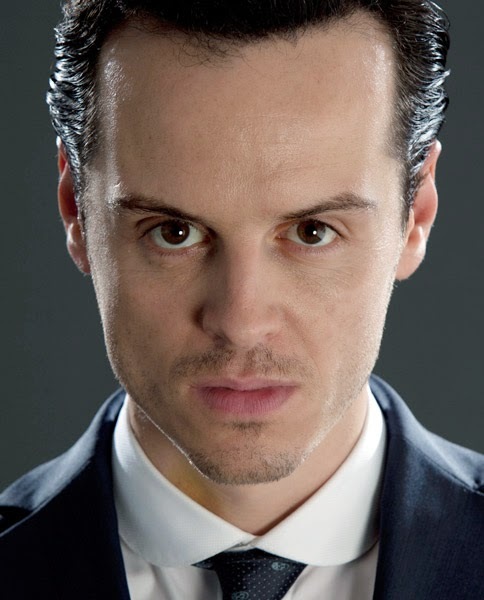 Professor James Moriarty is one of the most intriguing and memorable of Arthur Conan Doyle's creations, inspiring a wide variety of story-lines in Sherlock Holmes books, movies and TV shows. In Andy Weir's fan fiction adventure "The Adventure of the Sealed Room" the notorious schemer has finally been apprehended, with the curious caveat that he is (on this occasion) innocent. Andy Weir is an American novelist primarily known for his debut hit "The Martian". A software engineer by trade, Weir uploads many of his works for free (including the flash fiction gem "The Egg"). The short story is available in its entirety for free at Galactanet. There have been numerous works of fan fiction centred around Sherlock Holmes' arch enemy. In this short story by Andy Weir the infamous villain is tasked with proving his innocence, accompanied by the narrator, Sebastian Moran. 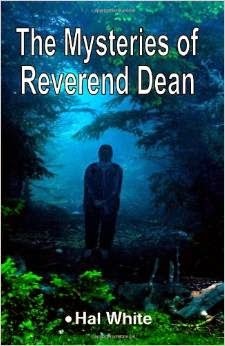 Featuring six short stories, The Mysteries of Reverend Dean follows the exploits of the titular Reverend as he encounters and solves seemingly impossible crimes. Set in the fictional town of Dark Pine, the book very much follows the "Miss Marple" format - the retired pastor filling his time with the various transgressions of his army of contacts. Similar to the Christie books, the main character's primary motivation is an unquenchable curiosity. 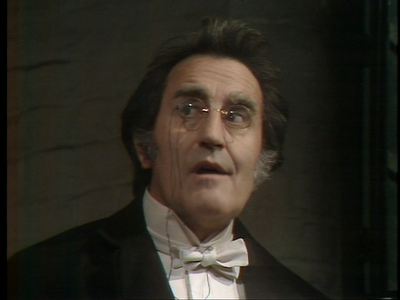 The Reverend is a likeable pensioner who seems to have built quite the following during his working life. Hal White masterfully balances his leading man on just the right side of doddery, with an earnest and kind demeanour that turns to stern when the situation necessitates. The Reverend's profession plays into the plot, with many of the mysteries originating from members of his church. It also allows White to include a few short sections on Christian philosophy, though he wisely opts not to over-do these interludes. They provide a little depth to the Reverend's belief structure, but are not overly intrusive for readers of a different persuasion. 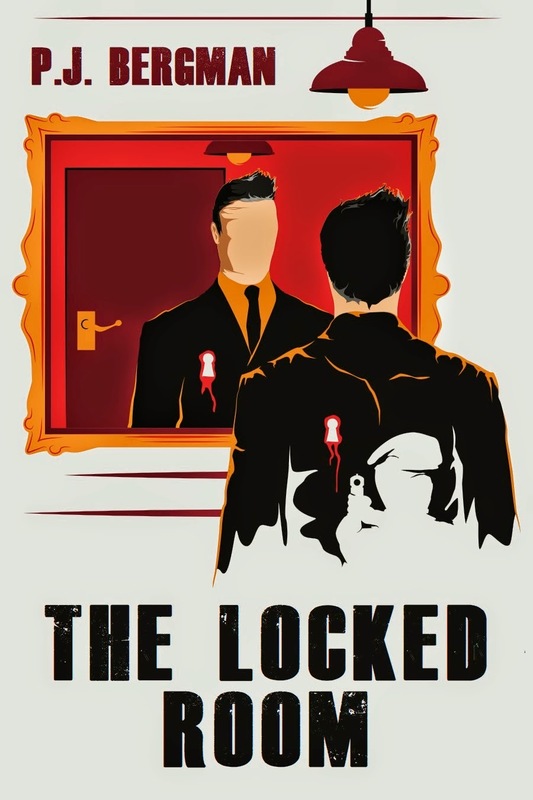 This exclusive short story is the third chapter of my upcoming novel, The Locked Room. The first chapter, "Private Eye" is available to read online for free here. The short story is available in its entirety below. If you want to read on your Kindle you can download it here (send to Kindle instructions here). The first chapter, "Private Eye" is available here. ‘You heard the FBI woman, we have no standing with law enforcement,’ I replied. I was thinking of my treatment. This collection of short stories is one of a number featuring famed detective Arsene Lupin, though in this case acting under the pseudonym of "Serge Renine". Often described as France's answer to Arthur Conan Doyle, Leblanc spent much of his career writing Lupin mysteries. The adventures were hugely popular, and The Eight Strokes of the Clock was nominated by Ellery Queen as one of the top 125 detective fiction novels ever. The plot follows Renine as he meets Hortense Daniel, and quickly develops an affinity for her. After freeing her from a controlling uncle in the first story, Renine exposes her to a life of adventure and mystery in an attempt to win her heart. The collection of short stories is available in its entirety for free at Project Gutenberg. If you want to read on your Kindle you can download it here (send to Kindle instructions here). Serge Renine is an absorbing character who deciphers mysteries with his powers of observation and his skill for compelling argument. His quest to seduce Hortense Daniel propels the two of them through a eclectic mix of mysteries, each of which offers a unique puzzle for the reader. Jacques Futrelle's Professor Van Dusen ("The Thinking Machine") has investigated murders, unexplained horrors, and all sorts of bizarre occurrences. In The Problem of the Vanishing Man, Van Dusen turns his attention to the corporate world. Charles Carroll, head of a prospering brokerage firm, enters his corner office on the fourth floor of the building. When a member of staff follows him in, he is nowhere to be found. How can he have escaped the building without being seen, and what possible motivation could he have for doing so? The short story is available in its entirety for free at Futrelle.com or The University of Adelaide. If you want to read on your Kindle you can download it here (send to Kindle instructions here). The interesting setting (high stakes corporate stockbroking) and cast of shady characters gives The Problem of the Vanishing Man an air of mystery right from the off. Carroll seems to disappear and reappear at will, leaving the reader questioning whether he is actually accomplishing the impossible or simply being framed by a jealous colleague.